Firstly for the identity design work that we have created for 'Giraffe', the family lifestyle casual-dining restaurant brand and secondly, for the identity, packaging and flyer design work we created to help with the launch of 'Masala Masala', the Indian, fresh, stir-in cooking sauces. We're up against some of the biggest agencies, so we're not expecting to walk away with the prize, but we're very proud to have been chosen as a finalist. All credit should go to the Mystery teams: Steve & Janfranco for Giraffe and Serena, Beck & Phil for Masala Masala. So congratulations to them! 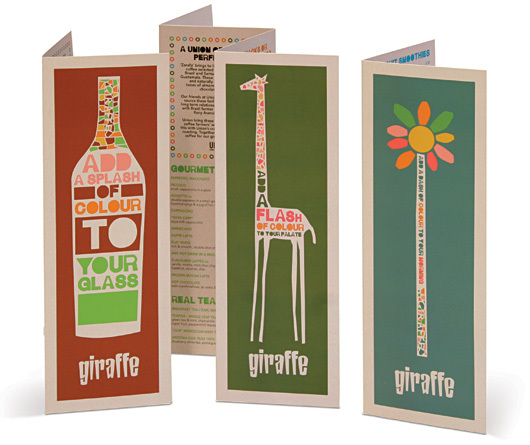 Above: Hot off the press - the latest Giraffe menu designs. 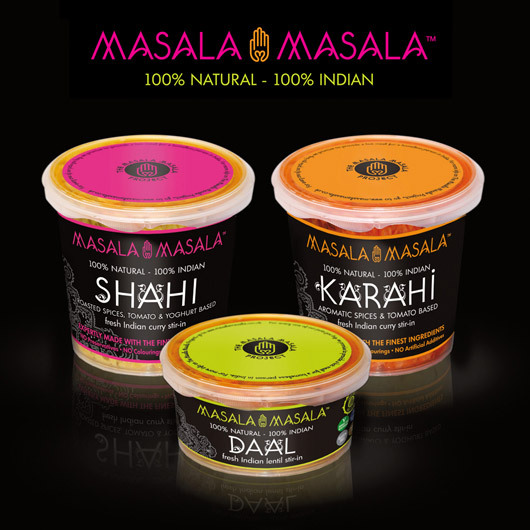 Below: Masala Masala identity & packaging design.